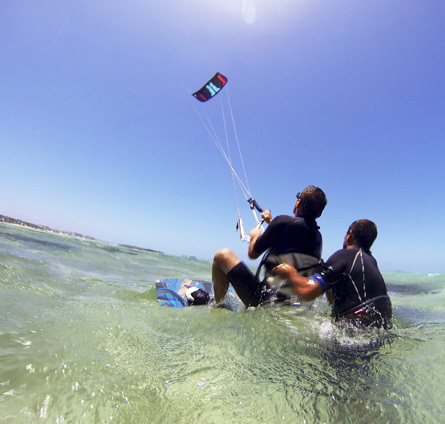 Located at the north of Madagascar in front of the magnificent site of the Emerald Sea, Kitesurf Madagascar offers kitesurfing lessons from discovery to advanced levels. 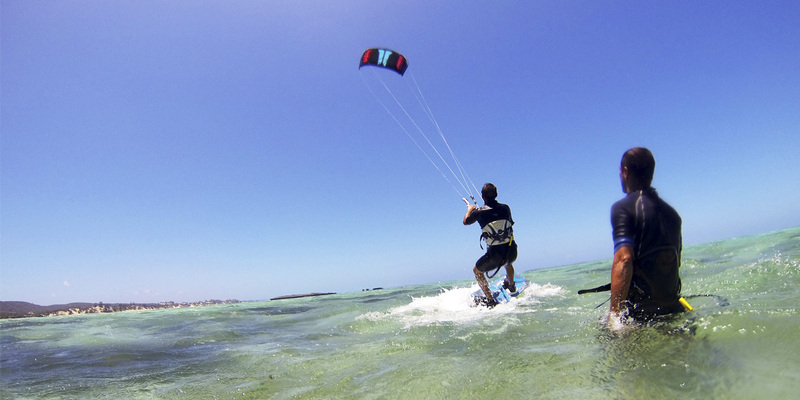 Learn to kitesurf or improve your style with our customized courses of 3, 6, 9 and 12 hours in french, english, spanish, italian. 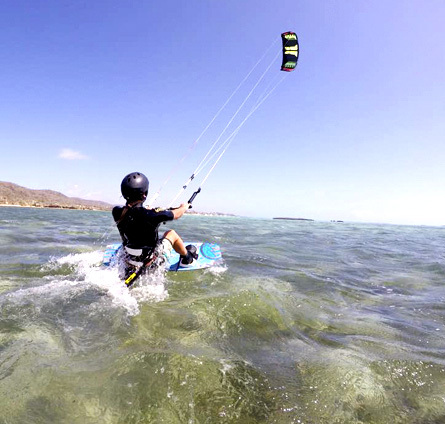 We offer private lessons or in groups of 2 people in order to adapt to the progression of each of our students. Our teaching system is personalized according to your aims and objectives and our IKO instructors will follow you step by step through all the steps of becoming an independent rider. If you are an independent rider, please check our rescue and assistence packages. We suggest you to get this package and ride safe. 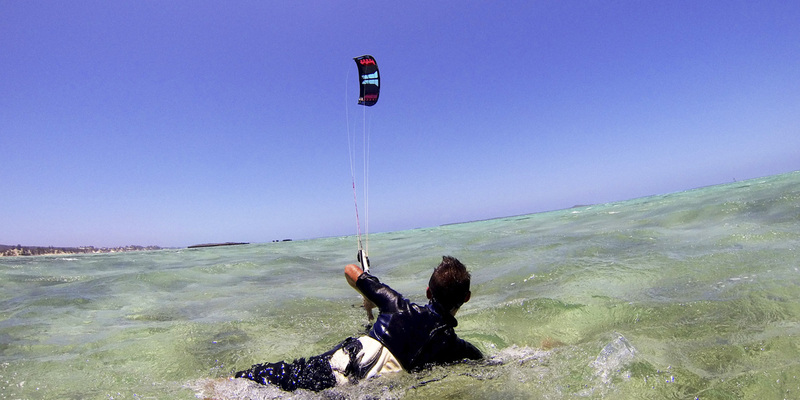 We are open every day when the wind blows, from sunrise to sunset! 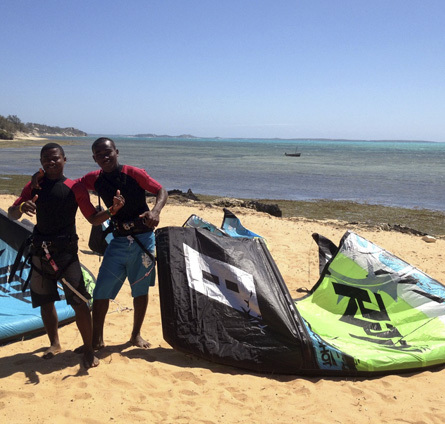 Kitesurf Madagascar uses kitesurfing equipment designed for efficient learning and progression. 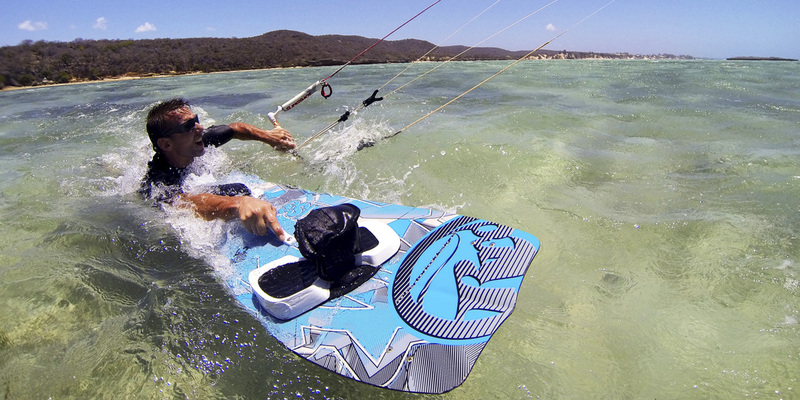 All equipment is provided on site: kite, board, wetsuit, shoes, safety vests, harnesses and helmets. If you bring your own equipment, we also offer storage service. We suggest to bring your own water shoes and 3mm wetsuit for those who get cold easly. If you are and independent rider, subscribe to one of our packages and receive the peace of mind and security of a riding supervision. 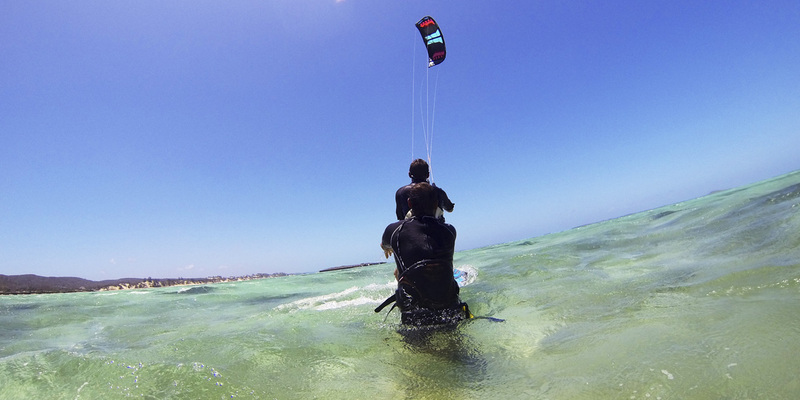 The Emerald Sea is a large lagoon where the winds are strong and the distances to reach some spots are sometimes considerable reducing visibility for effective supervision from the coast. It is strongly advised for everyone to take the necessary precautions and assess risks before riding (weather and spot conditions). 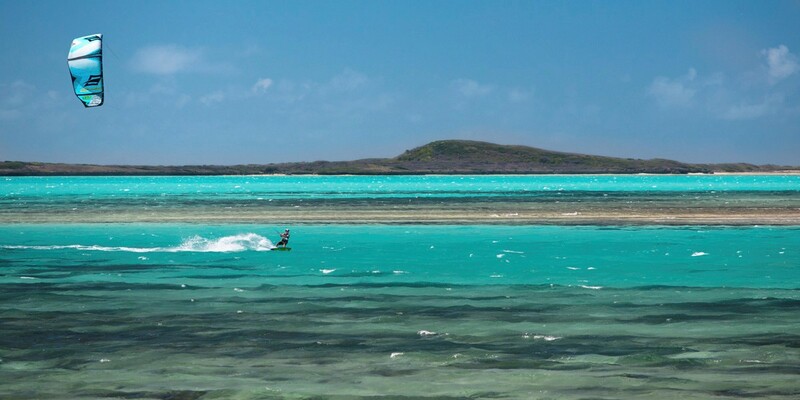 This package is for kiters wanting to ride outside the lagoon in the waves spot located east of the island Suarez. 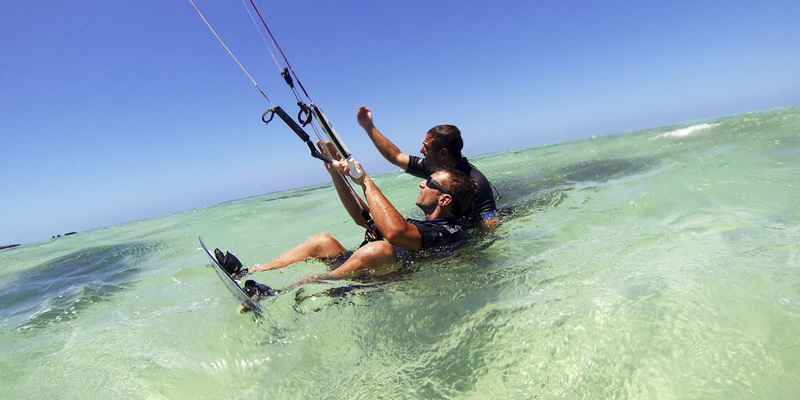 It includes: help during take-off, landing and storage of equipment, and supervision by one of our accompanying instructors to the waves spot. Durée 3h sur 1 journée. 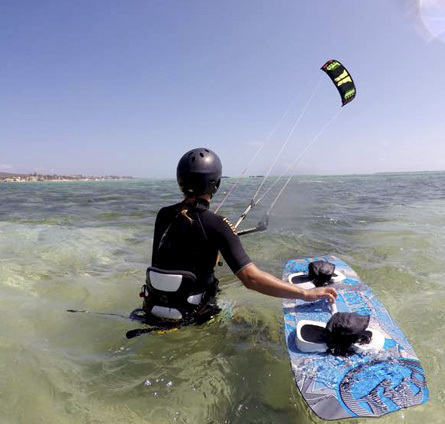 Avec ce programme vous apprendrez les bases du kitesurf incluant la maîtrise de l'aile. Durée 6h sur 2 jours (3h par jour). 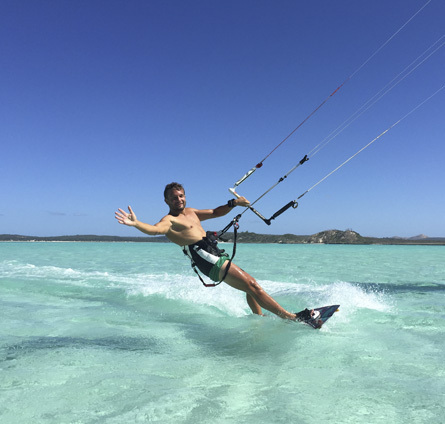 Apprentissage des bases du kitesurf incluant la maîtrise de l'aile jusqu'au démarrage sur la planche. Durée 9h sur 3 jours (3h par jour). Ce programme vous permettra de commencer à maintenir votre équilibre pour naviguer sur de plus longues distances. Durée 12h sur 4 jours (3h par jour). Ce programme vous permettra de compléter votre apprentissage et de commencer à naviguer de manière autonome. Cours assistent moniteur IKO Durée 6h par jour pendent 4 jours L’objectif de ce cours est de se familiariser avec le rôle d’Assistant Moniteur, celui de Moniteur, et de se prèparer pour une Formation de Moniteur Niveau 1 (ITC).